A little-known program helps homeless youth find resources, but the government now wants to starve it to death. Nationwide, nearly two in five homeless youth identify as lesbian, gay, bisexual, or transgender. That adds up to 650,000 young people on our streets who face special risk of bullying, discrimination, and assault. To stay safe, they rely on something simple — a wireless phone. To understand why, consider the experience of Mary Hicks-Pope, who shared her story with ThinkProgress in 2016. She had always known she was gay. When she was 10, she was adopted, but she was later placed in foster care. When she aged out of the foster care system, she couldn’t afford to live on her own after losing a job. She said, “When I was a child my biggest fear was being homeless. In the past two years, I’ve lived in six different places.” Mary spent two years without a home, relying on her phone to connect her with others who could help. With her phone, Mary could check her email. She could contact employers. She could communicate with friends and secure a safe place to live. Mary’s story illustrates just how important a phone can be for those who are vulnerable. Research from the University of Southern California and the LGBT Technology Institute’s Connect 4 Life Program shows that access to communications technology helps homeless youth find support networks, reach potential employers, and access health care. This research proves that a wireless phone is not a luxury. It’s a necessity for the safety of so many LGBT homeless youth. Many homeless LGBT young people are eligible for a program that helps them get wirelessly connected. It’s called Lifeline. For decades, Lifeline has been run by the Federal Communications Commission. The program is premised on the idea that low-income individuals need basic communications to ensure they have a fair shot at securing employment, a place to live, and the ability to reach out in an emergency. In practice, it lowers the cost of phone service for those who can least afford to pay. Today, the program serves 10 million people, including many young people who lack a safe place to live. In light of the epidemic of homelessness among LGBT youth, the FCC should be figuring out how to get Lifeline service into the hands of young people who need it. But instead, the FCC’s is planning to make deep cuts to the Lifeline program. As proposed, these cuts would leave 70 percent of Lifeline participants without a connection. To justify this drastic reduction in service, the FCC cites concerns about program waste. The agency notes that some carriers are signing up ineligible customers and filing inaccurate paperwork. It is essential that the FCC address these problems. Carriers that fail to follow program rules should be fined and shown the door. But there are ways to clean up this program that do not cut off those who are vulnerable and most in need of connection and help. It’s time for the FCC to listen and learn from the experience of Mary and so many homeless LGBT youth like her. 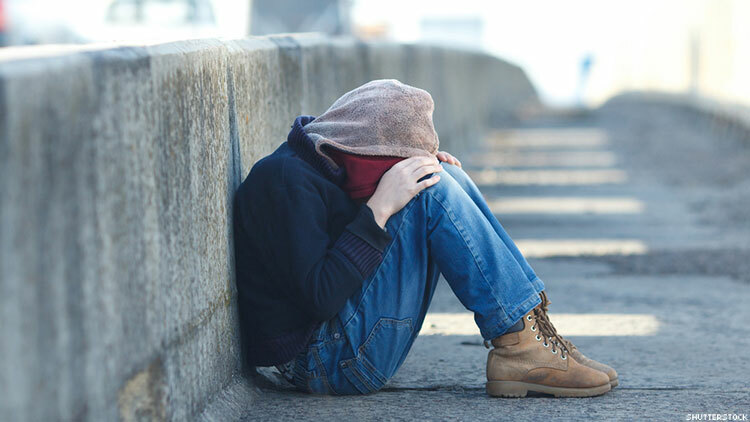 The agency needs to rethink its proposal to slash the Lifeline program and instead help homeless youth make the connections that can lead to a safer and more secure life. JESSICA ROSENWORCEL is a commissioner at the Federal Communications Commission. Follow her on Twitter @JRosenworcel.